This product is the same as Model 64046 except for this is only a 50 Administration (usage) License. The 50 Administration License is more economical when only needing to administer a few tests. 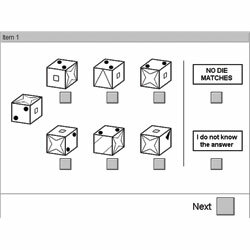 See Model 64046, Adaptive Spatial Ability Test for details of test specifics.